BET's The Game is back and that means the stars are doing plenty of interviews. 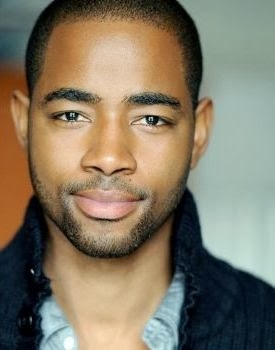 Recently I came across an interview with actor Jay Ellis. The interview was filled with lots of inspiring quotes and it would be wrong if I didn't share them with you, so here you go. The following quotes came from www.aimeramour.com and www.zondamour.com. "Then I realized that I’m young, and I’ve got this degree I can fall back on. Let me chase my dreams and see what happens. You have to believe in yourself and you have to take risks. You know how people say 30 is new 20 and 40 is new 30? Well I think essentially what that’s telling us is there are so many opportunities out there, you don’t have to rush into something. You can try a few different things. You can try your passion for a while and see if it works and if it doesn’t, at least you tried. I think that’s why I quit my job and went back to acting. I said this is what I’m going to dedicate my life to doing because I didn’t want to look up and say, “Man I wish I would have been an actor. I wish I would have tried.” I knew if I at least gave myself two years to try and fail I could at least say I tried." " I quit my job and for almost two years I didn’t tell anyone, not even my family or friends. If you knew I quit my job it was because we worked together and I wasn’t showing up anymore. And for those two years I enrolled in acting classes. I acted in some capacity every single day. I would rehearse with people and help them with their auditions. I watched every single television show I could and I tried to become as much of a student of this craft as possible. In fact, I even gave myself a time limit of two years to become a series regular. That was very foolish and ridiculously aggressive. But after two years and four months it happened." "If you’re passionate about your talent, your craft and your work people will see it first hand." "I think success is a combination of things. I think it’s when you love yourself and you’re honestly happy with what you’re doing in life. To me success in a professional sense is being able to help other people. I think that’s the biggest thing. I wouldn’t be here today if somebody hadn’t helped me. I can think of forty people that helped me just this weekend alone. If it weren’t for other people who didn’t want anything from me other than for me to be successful and have my chance, I wouldn’t be here. So I think the biggest mark of success is being to help other people achieve their dreams and better their situation." He answered the success question." To read the full article, click on the links in the first paragraph.